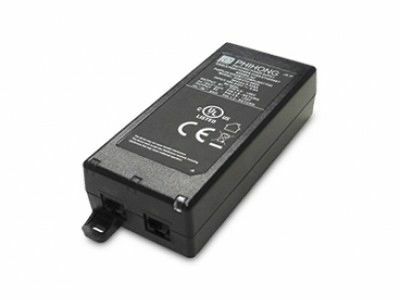 POE16R-1AF 16W Power over Ethernet single port midspan power injector with full IEEE802.3af compliance and a wide AC input range of 90 to 264Vac and a built-in wall plug adapter. This Power over Ethernet single port midspan power injector operates at 10/100Mb Base-T data rates and is supplied with 4 interchangeable AC plug heads; UK, Euro, USA and Aus. 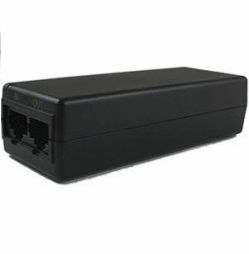 Typical applications for this POE16R-1AF 16W Power over Ethernet single port midspan power injector include security cameras, wireless network access points, IP telephones, IP print servers and Blue Tooth access points.